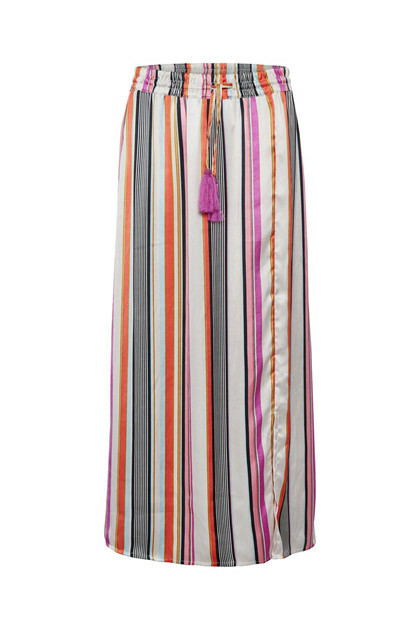 Spot-on trendy skirt with this striped look from Culture. The skirt is long and has an elastic waistband with laces and fine tassels. The fashionable skirt is comfortable in quality and is suitable for both everyday use and party occasions. 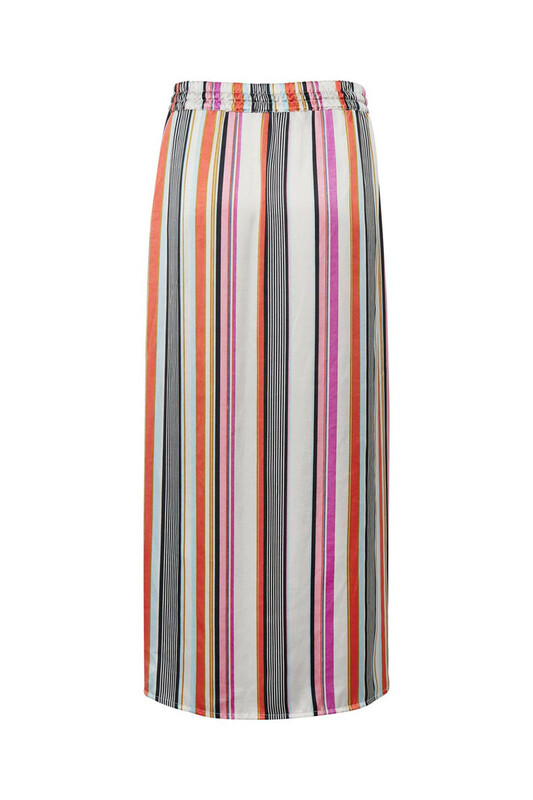 It has this very popular maxi length and has a slit at front for better movement option. Style it with a T-shirt for everyday use and a cute cami top for a perfect party look. 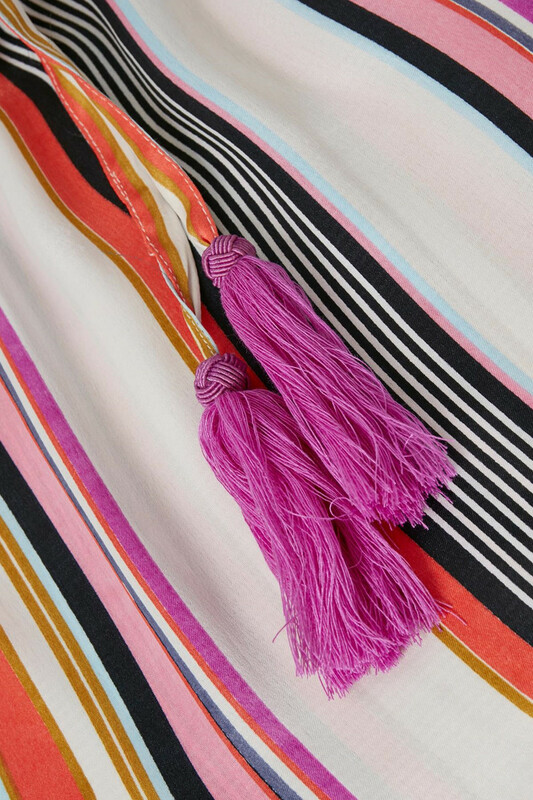 Match it with Sina Kimono or Sina Blouse for a completely fashionable look.